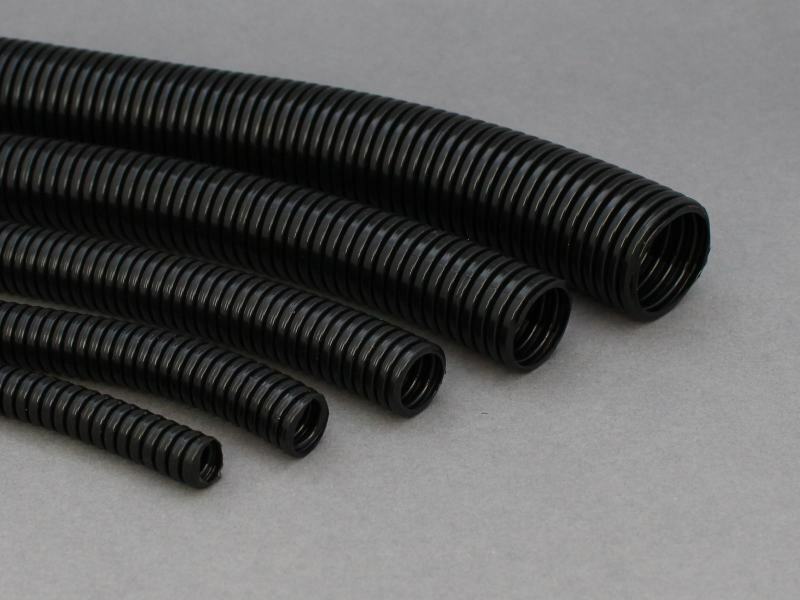 Flexible and lightweight nylon convoluted unsplit sleeving/tubing, suitable for bundling cables in harness manufacture and protecting against abrasion and fluids. Available in various standard sizes 10.0 - 28.3mm OD. A range of fittings is also available to join, adapt and terminate sections of sleeving (see convoluted sleeving fittings). Quality seems high. Delivery fast and reasonable. Good supplier of small and larger quantities, always competitively priced. I wont waste time trawling the net, as I have found these to be invariably best for my needs. Plus they have most comprehensive technical pages I find invaluable. Just what I needed for the wiring job. Nice product did the job perfectly.